When you are redoing your kitchen cabinets don’t forget about the insides. This oft-overlooked part of the cabinets is a key element in creating a finished, professional look to your cabinets. The process is simple and can be done while you are waiting for other parts of the cabinets to dry. 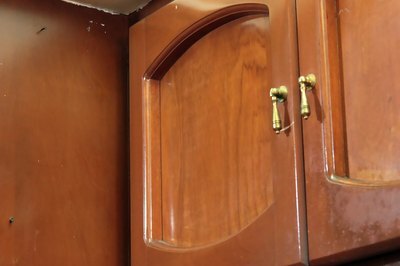 You should paint the inside of the cabinets before you paint the facing or sides to prevent drips or mistakes. You can create many different looks in your kitchen by incorporating the inside of the cabinet in the paint scheme. 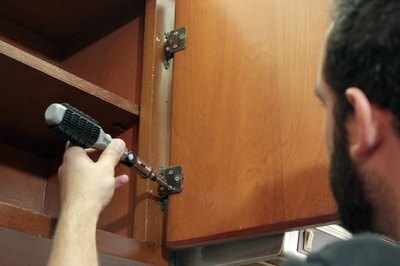 Remove the doors of the cabinet with a screwdriver so you have full access to the inside. Take out the shelves if they are not fixed in place. Sand the interior of the cabinets with fine grit sandpaper. 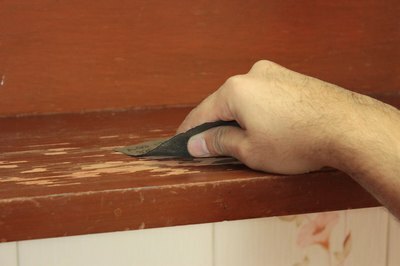 Make sure you sand all the surfaces of the cabinet, including the top and bottom and any shelves that you can’t take out. Clean all of the sawdust away from the cabinet with a damp cloth. Let the interior dry completely. 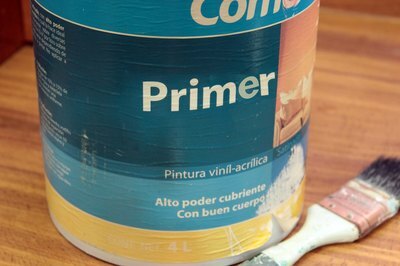 Apply a thin, even coat of primer with a paintbrush to the inside of the cabinet. Prime the back wall of the cabinets, followed by the ceiling of cabinets. Paint the primer on the side walls of the cabinets, and finally the bottom for last. Let the primer dry for as long as the product recommends. Paint the interior of the cabinet in the same order as you did with the primer. Use a wide paintbrush and make long, even strokes. Let the paint dry before returning the shelves and doors to the cabinets. Paint the shelves a different color to the interior of the cabinets for a charming, quirky look. Do not apply too much paint at a time or you will get drip marks.